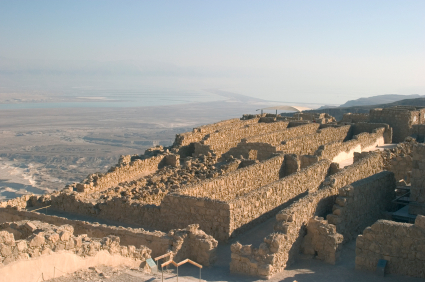 Masada is a fortress on top of a plateau, on the edge of the desert. Herod the Great built palaces here for himself. 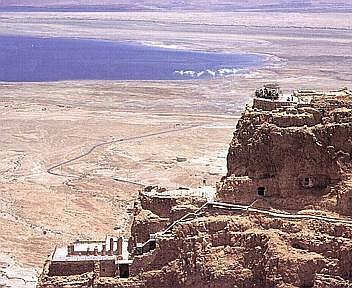 Masada can be reached by cable car or if you are in fit condition, make the trek up the side of the mountain. Tour the bath houses, a storehouse, a synagogue, and barracks that were left by the Roman soldiers. 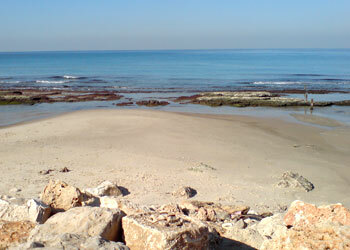 Ein Gedi nature reserve is situated on the coast of the Dead Sea, on the Eastern border of the Judean desert. There are two streams that are fed by springs. You can find many different species of plants and wildlife here year round. Descend from Jerusalem through the Judean Desert to the Dead Sea, we will pass the Inn of the Good Samaritan and top at the sea level marker. View Jericho in the distance, the oldest city in the world. Continue to Masada by way of the Dead Sea. Ride in a cable car to the top. Tour the synagogue built by Herod. See the bath houses, the ramp that was built by Jewish slaves, the water cisterns, and the barracks that were occupied by Roman soldiers. On the way back we will stop at Ein Gedi. Walk along a well marked trail through the reserve without a guide. Enjoy nature, there are numerous birds, plants, and vegetation to observe. After Ein Gedi view the caves at Qumran where the Dead Sea Scrolls were found.